First and foremost, I want to state baldly that the election of Trump is the beginning of a fascist state. Hitler gets bandied about a lot, but Trump is behaving exactly how decades of totalitarians and dictators have when they are put in power: gaslight the population, concentrate power in their immediate circles, appoint sycophants with plans to destroy the institutions they are asked to administer, fueling hate crimes and hate speech. Lots of people didn’t think it would happen in Germany (or Romania, or Yugoslavia, or Iraq, or ….) But then it does, and it has, and appallingly there are lots of people and press outlets bending over backwards to normalize Trump and his election. White supremacists are literally throwing parades for Trump. THIS IS NOT NORMAL OR TOLERABLE. Obviously this is a disaster for pretty much American who isn’t an affluent, cisgender heterosexual able-bodied white male, and it’ll be a disaster for plenty of them too. There’s a straight line between social justice and environmental justice, and as much as I am fearful for what will happen to marginalized people in the US, Trump’s election has pretty much sealed our collective fate to a dangerously overheated planet. There are some things that can be fixed with improved policy after a disasterous president, but we as a planet will not be able to fully recover from four years of decimated environmental protections and measures, four years of unchecked oil and gas exploration and extraction, four years of inaction at best and harmful actions at worst. We barely had time to fix this mess as it was. The role for Canada and Canadian science community is straightforward: HOLD THE FORT. Be the beacon of progressive, expansive, tolerant inclusion that we like to think exemplifies Canada. Be the unwavering voice that stands up for human rights and civil liberties. Be the leader pushing for stronger environmental standards, reduced emissions, a carbon tax. Be the squeaky wheel on the international stage. Keep reporting, keep talking, keep the lights on. Do not capitulate. Actively look out for our colleagues, here and abroad. Check in, ask how they’re faring, listen. Behave in such a way that your colleagues will answer honestly when you ask how they are rather than reply with platitudes and niceties. Actively intervene when people say racist / sexist / homophobic / transphobic / ableist / etc things, and not just when someone’s looking. Press your professional organizations to actively support human and civil rights movements. When organizing conferences or meetings, make sure that they are inclusive, and make that clear in the conference paperwork. Don’t hold meetings in places that are actively hostile to minority scientists. Science is a challenging enough profession without having to fight tooth and nail to assert your full humanity. This is already hard for many scientists, and is about to get a lot harder: as people not living in a soon-to-be fascist state, we non-minority Canadian scientists need to make it easier to be a minority scientist in our (international) professional circles. As teachers, talk about this in the classroom. Draw the connections between civil rights and environmental activism. Don’t ignore this. Science does not occur in a vacuum, and Trump’s election will have a very real and very harmful impact on how science is conducted in the US and possibly abroad. Teaching science effectively means teaching how it fits into a broader social context, and the many hidden ways in which basic, applied, and regulatory science make our lives safer and more productive. Actively make your classroom and office an open and welcoming place for your students, and reach out to the organizations on campus who’re providing support for marginalized students. Start talking about your science with the public, or at least actively support those who do. Climate change is putting science squarely in the middle of discussions about economics, foreign policy, international trade, and public health, and for those discussions to be effective we need a basic level of science literacy amongst the populous. I’ve seen a lot of sniffy attitude directed towards people who take the time to talk about science to non-scientists, and this needs to stop. There are increasing resources and platforms for scientists to build their non-expert communication skills, including Science Borealis. Support your colleagues who are undertaking this important work, rather than denigrating their efforts. We finally have a government that at least acknowledges that science is important. We now know not to take that for granted, and we need to continue to press for evidence-informed policy. It will be easy to ignore science in favour of stability and good relations, and we need to push back hard against that urge. The scientific community learned a bitter lesson under the Harper governments, and we cannot become complacent because now the Prime Minister reels off a prepared bit about string theory. We’ve marched on Parliament Hill before, we should be prepared to do it again (and again, and again) as necessary. Climate agreements don’t magically ratify themselves. Support the organizations that are on the front lines fighting for marginalized folks. The American Civil Liberties Union, the Southern Poverty Law Centre, Mother Jones, Planned Parenthood, etc will need all the help they can get. Read the Truth and Reconciliation Committee’s report and recommendations. Part of stepping up to the international plate to lead is getting our own house in order, and there is a distressingly long way to go towards reconciliation with indigenous peoples. As the Dakota Access Pipeline shows, indigenous communities bear much of the brunt of environmental harm, and lack the lobbying power of settler communities and resource extraction corporations. Indigenous peoples are dramatically underrepresented in the scientific community, and the scientific community has much to answer for how we have historically treated indigenous peoples. More scholars are engaging with traditional knowledge, but the scientific community as a whole needs to be very careful not to treat traditional knowledge as another resource to be extracted for settler use. Reading the TRC is a way to start to understand the context for settler – indigenous relations. We as scientists should be doing much of this already, but it will become far more difficult for our American colleagues to be outspoken. As Canadians, however, we must keep pushing for sound science, environmental justice, and human rights, here, in the US, and around the world. At lot can happen in 10 months! Long story short, I was up to my eyes in finishing the PhD, and blogging just kept getting shoved on the backburner. But! I finally finished and defended! This is a great relief and I’ve been slowly returning to world since I got the final revisions in. In the ensuing few months, I did publish a few things at Science Borealis, and a piece at Hakai Magazine! The Climate Anxiety Doctor is In: I interviewed a poet and professor about her climate counselling project, where she sets up a booth in a park in Providence, RI and talks with people about what worry about in a changing climate. A New Wave of Astronomy: A basic intro to gravitational waves, posted shortly after the first GW detection event was publicized. Why all the fuss about neutrinos? : An editorial on neutrinos, for some context around Arthur Macdonald’s Nobel win in 2015. Now that I don’t have a thesis looming over my head, I’m hoping to get back into writing somewhat regularly — here’s hoping that pans out. Op-Ed for the Canadian Science Policy Conference on science as an electoral issue. I saw both The Martian and (finally) Interstellar recently, so it may be time for another round of Steph Overthinks Science Fiction Movies With Questionable Physics. (Previously in that series: Pacific Rim.) Though I actually thought The Martian did a good job with the science! I was very pleasantly surprised! I was substantially less impressed with Interstellar. In short, more soon, and hopefully with more regularity. But to the best of my knowledge, no physics or astronomy facility that can be described as “the only one of its kind in Canada” has yet had to shut its doors as a result of the war on science. (If you know of one, please let me know!) However, this may change early next year, as the National Ultrahigh-Field NMR Facility for Solids is in peril of closing permanently in March 2015. (The lab announced in late November that barring immediate reprieve it would be closing on December 1, but emergency funding was found, and the lab will remain open until March.) The NUF-NMR facility houses a 21 Tesla magnet, which is used to probe into the atomic structures of biological samples and novel materials. This magnetic is the strongest magnet in Canada, and the strongest magnet in the world dedicated to studying solids. All NMR work requires a strong magnetic to resolve the fine differences in nuclear emission spectra, but the stronger the magnetic the higher the resolution of the emission spectra, and the more elements that can be analyzed in the apparatus. Since this is the strongest magnet in the nation, if this lab closes there will be no facility in Canada that can analyze materials with magnesium, gallium, germanium, zirconium, indium, barium, or lanthium. Note that these are not all rare elements: it’s not just research into rare and exotic materials that would be curtailed by closing this lab. 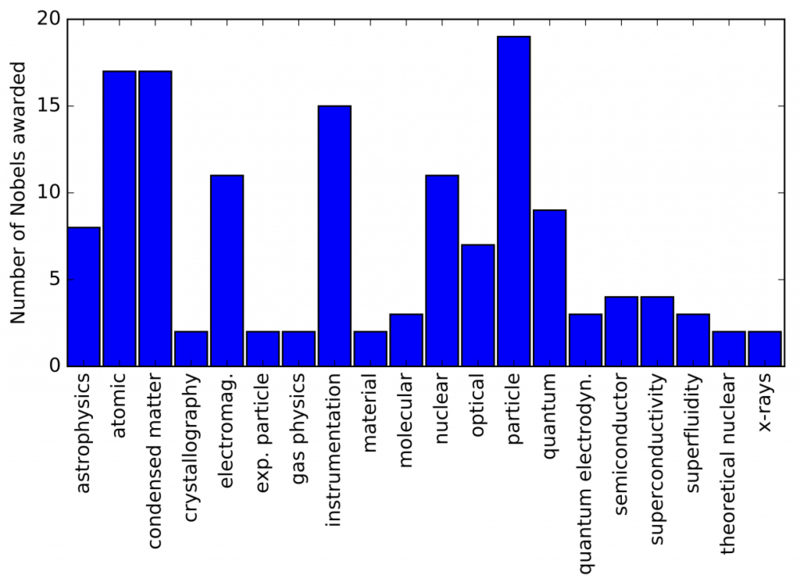 Nuclear magnetic resonance, or NMR, is a versatile technique used to analyze the composition and structure of materials based on their atomic nuclei responding to magnetic fields. Protons and neutrons have an intrinsic property called spin, which is a variety of angular momentum and the particulars of which is a whole blog post in and of itself. Atomic nuclei with an even number of protons/neutrons have no net spin, while nuclei with an odd number of protons/neutrons have a non-zero net spin. Particles with a non-zero net spin will interact with an applied electromagnetic field. NMR consists of two steps: first, the material is placed in a strong magnetic field, and atomic spins align to the field. After the sample as adjust to the magnetic field, an electromagnetic pulse perturbs the steady field, and material reacts, emitting electromagnetic radiation. Sensors around the sample record how the sample reacts, and that information is used to characterize the specifics of the sample’s composition and structure. This is a useful technique because it can be used not only to determine what isotopes are present in a given sample, but the molecular and functional structure of the sample, or even the dynamics of the sample. The principles of NMR can be applied on large scales as well — the best known application of NMR is the MRI machine used in medical diagnostics. The facility’s funding woes started in 2012, when scientific infrastructure funding was frozen for a year, and the NRC was overhauled to be a business-oriented lab for hire rather than a public research institute. The facility is housed in an NRC building, and received funding and support from the NRC before the restructuring. However, after the restructuring, the support was not renewed, and the funding the NRC had already committed ran out this year. The lease on the space from the NRC is $100,00 per year, and the directors estimate that another $160,000 is needed to cover operational costs. While this sounds like a lot of money, this is not that much. The facility cost $11.8M to build, and for the want of $0.26 M, may close because all the grant programs they previously applied to (successfully, presumably) are now shuttered or restructured. Not that my research is comparable, but when I got my notification of resource allocation from Compute Canada last year, they included an estimate of how much my allocation would cost (were I paying it out of pocket, which I’m not, obviously). My modest allocation, for one grad student’s work, cost ~$75,000 per year. Obviously the funding sources are wildly different, but for the price of four modest supercomputer allocations, you could keep a unique Canadian facility open for another year. That is not even close to an outlandish sum of money for the substantial scientific payoff it provides. This has been a theme of the war on science: while the budget cuts are presented in terms of efficiency and fiscal responsibility, many of the casualties have had modest budgets and outsized scientific impact. The fisheries library in New Brunswick that was shut (along with several others) comes to mind: the government spend several million dollars renovating an updating the library, and then closed it months later to save a few thousand dollars. I chalked that up to an ideological motivation, given the sustained hampering of environmental science work, but now it seems like there’s at least some haphazard slash-and-burning going on too. 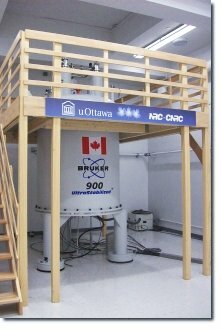 I’m surprised that the NMR facility is facing such a funding crunch in part because this facility seems to be exactly the sort of lab that the government is supposedly trying to foster: NMR is used in a lot of applied and industrial science, especially materials science and biological physics. That they qualify for not a single grant program is baffling — surely with all this focus on funding industrial and applied science, there would be expanded funding programs for facilities that do that work? Much of the scientific community has said that this “refocussing on applied and industrial science” rhetoric is empty at best, and the NUF-NMR’s situation is good evidence that that’s not just dark or bitter speculation. None of the work listed on the facility’s research page has obvious political ramifications the way say the ELA’s publication list does. A lot of it sounds very useful, and much of it (particularly the pharmaceutical section) looks like it could easily be economically profitable. That a world-class facility like this is facing imminent closure, shuttering multiple research programs at universities across the country, is a clear indication that all science is under attack in Canada, not just the science with potential political ramifications. Since the facility’s situation has come to light, the NRC has agreed to waive the lease temporarily (read: until this is safely out of the news), and from the sounds of the lab’s news page, there are negotiations in the works to secure some measure of stability. That’s good, but it’s only a matter of time until the next funding crisis comes around, and that’s likely to be sooner rather than later. There’s a new physics and astronomy editorial up on Science Borealis, now written with my co-editor Jared Strang. Since it was Marie Curie’s birthday last week, we wrote about the general lack of historical role models for physics-minded girls, and how having only one titanic role model in a field is hard to aspire to. Not everyone’s going to win two Nobel prizes and revolutionize physics, after all. So to make a point, we compiled a list of historical (roughly pre WWII) women who studied physics or astronomy, and we wound up a list of about 50 women. Jared and I both went looking for historical female astronomers and physicists, and in the first go round we had very similar lists. I found all the relatively well known women (Emmy Noether, Chien-Shiung Wu,,Lise Meitner, Hypatia, etc) and a handful of other lesser known figures within an hour or so. But I looked at the list, and almost all the figures were Western, and most lived in the 19th or 20th centuries. There were a couple from antiquity, and a couple from outside Europe or North America, but it was a pretty uninclusive list. So I went looking for more women, particularly astronomers, as the history of astronomy is longer than the history of physics, and it is in many ways more accessible than physics. You don’t need any equipment to stand outside and look at the stars, so it’s hard to believe that over a millienia and a half, no women anywhere in the world sat down and wrote about the heavens. You really have to go looking for hints of these women, though. Over a few days, I spent probably between 10 and 12 hours combing the internet and looking through history textbooks. I found a few more women, and a number of Renaissance salonists and teachers. Even though they didn’t necessarily do original research, I included them in the list because due to the exclusionary policies of universities, salons were one of the few ways that women could participate in the scientific culture of the day. But most of the women were still European, which didn’t make sense. There was a huge revolution in mathematics in the Islamic Golden Age (9th – 12th centuries), and lots of the innovations Islamic scholars developed relied on Indian texts. There are lots of documents showing that the Malinese empire had advanced math and science. What about the Polynesian islanders, who must have had excellent knowledge of astronomy to travel the Pacific? There’s lots of evidence of excellent astronomical knowledge in Mesoamerica! It’s not like astronomy and physics are the sole domain of Western thinkers, so surely someone on the internet, repository for all things meticulously enumerated, would have some evidence of female astronomers from around the world. Wang Zhenyi (China), who wrote multiple astronomical treatises on equinoxes, planetary motion, and eclipses. That’s six women, spread over 1800 years, one or two of whom weren’t themselves astronomers. If ever you need some evidence that women have been effectively written out of the history of science, there’s some evidence for you. I couldn’t find a single named female astronomer from India, Polynesia, non-Egyptian Africa, Mesoamerica, Japan, southeast Asia, Australia, etc in 2000 years of history. It’s frustrating to be confronted with a thoroughly Western-centric history of one of the most universal fields of science. There is ample evidence that plenty of cultures developed sophisticated calendars that required precise astronomical knowledge, and it’s patently ludicrous to think that no women, and few men outside of Europe, were ever involved in that sort of work. It’s worth noting that the majority of the earlier Western women on the list worked with their husbands, brothers, and fathers, often starting as transcribers or assistants. How many more historical women in science are hidden away out of sight of the history books? How many women’s contributions were roundly ignored by the scientific establishment, and discarded? I shouldn’t need to be a historian of science to find enough non-Western female astronomers in 2000 years to enumerate with more than one hand. Here’s a somewhat unrelated anecdote that I failed to shoehorn in elsewhere: I first heard of Noether’s theorem in, I think, second year of undergrad physics. Noether’s theorem states that a symmetry in a non-dissipative system corresponds to a conserved quantity in that system. (It’s technically a bit more complicated than that, but that’s the gist of it.) This theorem underpins most of classical mechanics and greatly clarifies what “energy” means in general relativity, so to say it’s an important theorem is a pretty big understatement. Since every other named theorem, law, lemma, algorithm, equation, or unit that I’d come across in math or physics up to that point had belonged to a man (exception: Marie Curie), I naturally assumed that Noether was male. It wasn’t until two years later, in my last year of undergrad, when I came across the name Emmy Noether, and was genuinely astonished that she was a woman. Earlier this week, I wrote an editorial for Science Borealis on Cosmos, science communication, and astronomy as a gateway science. It turned out pretty well, I think. It’s Earth Day, when politicians wave their environmental flag and we’re all encouraged to make a token effort at reducing our enormous environmental footprint. I think Earth Day has in a number of respects, outlived its usefulness. When it was first celebrated in 1970, the notion of an environmental movement was still very new: Silent Spring was only eight years old, neither the Environmental Protection Agency nor Environment Canada were established (the EPA would be by the end of the year, and EC the next), and it would be at least ten years before municipal recycling programs started to appear. Having a single day around which to promote environmental causes made sense when environmental issues aren’t very visible, but with climate change consistently on our collective radar, I think the focus of Earth Day needs to shift. Maybe my impression of Earth Day leans too heavily on the “go clean up a patch of river with your class” sort of effort from grade school, but Earth Day is the original in a collection of one-off, isolated efforts designed to raise awareness and, to a lesser extent, make a dent in our collective carbon footprint. I’m dubious of anything whose primarily purpose is to nebulously “raise awareness” rather than actually doing anything  — especially considering that environmental issues aren’t exactly obscure these days. Earth Hour (which is of course distinct from Earth Day) is a perfect example of this: having a smattering of people turn off their lights for one hour does bupkis for actually reducing emissions, and the principal awareness it raises is remembering where you put the emergency candles (which is important but not the point). This model is ineffective and, I’d argue, counterproductive: it proposes a model of small, discrete individual efforts to reduce emissions rather than the sustained, concerted, and substantial efforts actually needed to effectively combat climate change. It drastically undersells the level to which we need to collectively reorganize our lives to make a substantial change in emissions level, and, perhaps most importantly, it puts the onus of dealing with climate change on us as individuals and ignores both industrial and commercial sources of emissions as well as the need for good public policy to encourage those choices. Most of these are not things that can be effective tackled solely by individuals acting en masse. The oil and gas industry is the single largest contributor of GHG in Canada, and considering the number and scale of pipelines being proposed for transporting and exporting tar sands oil, it seems wildly unlikely that this number will go down in the foreseeable future. Buildings includes homes, but also businesses, skyscrapers, and all sorts of infrastructure that individuals have minimal power to change. It’s unclear whether constructed structures other than buildings are also included in this number, though I suspect they are, and if that’s the case, there’s an even tinier amount of influence that individuals can wield to change this number. Emissions intensive and trade-exposed includes “metal and non-metal mining activities, smelting and refining, and the production and processing of industrial goods such as chemicals, fertilizers, paper and cement,” and while individuals can reduce their general consumption, I suspect it’s hard for citizens to make much of a dent in this sector. So that’s 54% of Canada’s GHGs which are highly resistant to change by individuals, and electricity, transportation, agriculture, and waste and other still to consider. It’s straightforward for individuals to reduce their electricity usage, by using energy efficient goods and lightbulbs, not leaving lights and appliances on when not in use, and efficiently insulating their houses to reduce heat loss. However, it’s unclear how much electricity is used by individuals as opposed to the industrial, commercial, and public users, and other efforts need to be enacted to deal with those sectors. Transportation breaks down similarly: it’s straightforward for individuals to drive less (if your city has an efficient, robust, and accessible public transit system, which is not a given), but this number includes commercial and industrial transportation as well, and I don’t know how the number divides. GHG emmisions from agriculture can be reduced in part by people eating less or no meat, but plant crops also emit GHG (via machinery rather than ruminants), and many people are very resistant to becoming vegetarian, let alone vegan. Waste and other includes emissions from landfills, so by consuming less, composting, and recycling, individuals can make a dent in this number too. So out of the sectors that can be impacted by groups of individuals, which represents about 46% of the total GHG emissions, not one source of emissions is due solely to individual consumption. All are split between individual, industrial, and commercial uses, and most require systemic factors to be favourable before large numbers of individuals can make substantial efforts over a sustained period of time to reduce the amount of GHG they directly or indirectly generate. It’s much easier to get people to retrofit their houses when there are subsidies and public policy supporting them. People are much more likely to leave their cars at home if there is a robust, safe, efficient, and (economically and physically) accessible public transit network. Without appropriate public policy to make environmentally conscious choices realistically accessible to broad sectors of citizens, few people will make those choices on a daily basis. But even if we all, as citizens, consistently reduce our transportation and electricity usage and start eating tofu instead of steak, we’re shaving off parts of a small part of GHG emissions pie. Pushing individual reductions while ignoring that well over half our GHG emissions are due to industrial and commercial sources of various stripes is a spectacularly ineffective way to deal with climate change. To enact any sort of meaningful change in the oil and gas sector in particular will require concerted and sustained political vision and willpower. To effectively address our outsized GHG emissions (Canada has one of the highest emission rates per capita in the world), we need to drastically reduce not only our individual, but especially our industrial emissions, and that won’t change without public policy, legislation, and a drastically different vision of economic prosperity in Canada. It’s up to us as individuals to do what we can, but we need our politicians and civil servants to set policy that ensures that industry and commercial interests put in their share of the work too. Happy Earth Day 2014. Let’s go protest some pipelines.